Fast setting and easy to use, polyester adhesives for natural stone filling and laminating. Stone-Stik is an excellent choice for indoor applications with porous granites, marbles, quartz and other natural stones. It is fast curing with no tack even in colder temperatures and has an excellent shelf life (3-4 years). 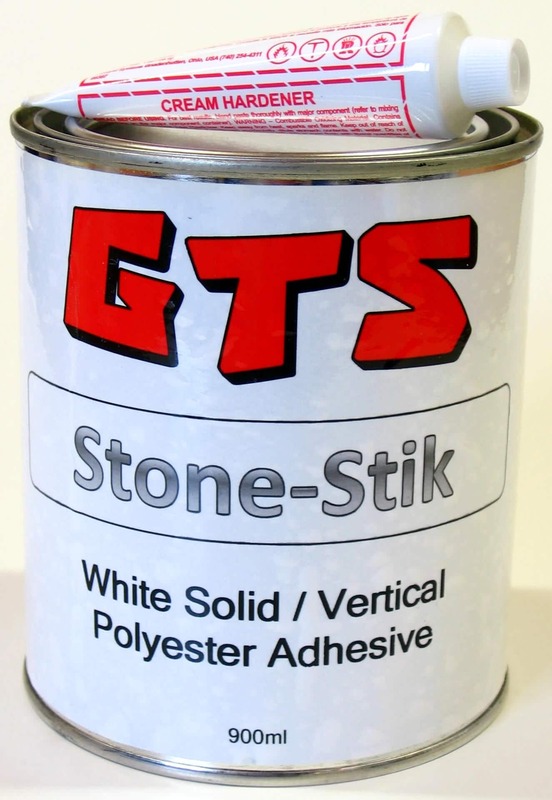 Stone-Stik glues can be tinted with our Stone-Stik colouring pastes for perfect matching. Available in Black, Buff/Straw, Transparent (Honey) and White, all 900ml tins (includes one white hardener paste).